1. Turn your seating into a spooky spider web! Is your lack of Halloween decor bugging you? Cover your home theater seating with cobwebs and plastic spiders using these easy diy tricks. Start by taking a look at your seating. Are the seats closer together like in the Seatcraft Genesis or further apart like in the Seatcraft Rialto? The configuration of your home theater seating will determine how much cotton you will need. Next, take your scissors and cut your cotton batting in either large or small portions depending on the size of spiderweb you are going for. Then stretch the cotton out both lengthwise and widthwise with your fingers until it resembles a spider web. Create a layout of spiderwebs on your theater seats and once you are satisfied, tape them down! Finally, accessorize your couches with little plastic spiders to complete the look. That was scary easy, huh? 2. Make your room rumble and shake! Looking for something that will go bump in the night? 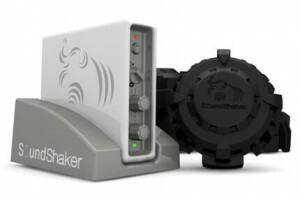 Upgrade your home theater with the help of a SoundShaker Seat Vibration kit! Your wifi transmitter sends out a wireless audio signal to the SoundShaker amplifier, which transmits it directly to your chair’s transducer causing your seat to vibrate. This experience can enhance any movie experience and will have people jumping out of their skin during your favorite fright-tastic movies. Why settle for seeing a movie when you can feel it too!? 3. Wine caddy ideas that will keep the Boos Flowing all Night Long! Seatcraft offers wine caddies that are specifically designed for home theater seating. These caddies are great for the wine enthusiasts out there, and even greater for those of you looking for boo-tiful Halloween decor. Take your wine glasses (preferably plastic ones you don’t mind painting), spray paint them the color of your choice and add glitter! Once you’ve let them dry for 24 hours, have some fun with them. You can either cut out felt wings for a bat themed glass, or add nuts and bolts to get a frankenstein look. Don’t be afraid to get creative with it -, the possibilities are endless! Once your glasses are complete, you can turn them upside down and place a flameless candle on top to get a hauntingly cute candle holder. 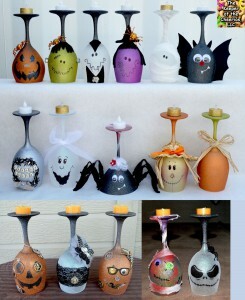 Or, you can use them right side up in the wine caddy and enjoy your wine in bewitchingly festive glasses. 4. Personalize your theater with diy wall decor! 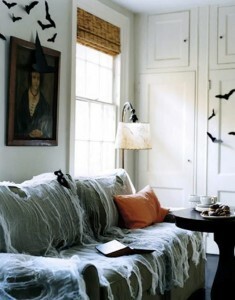 Trying to creep it real this Halloween with fun and simple decor? Bring your walls to life with cutout bats and witches using your LED reading light! 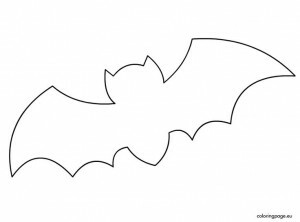 Draw a witch or bat on a sheet of black construction paper. Cut out your design and paste it on the wall to transform your home theater into a spooky wonderland. Need help coming up with a nice design? Inspire yourself with these stencils! Once your walls are covered, point your reading lights in all different directions to highlight your spooktacular home theater decor. 5. Cover your swivel trays with yummy Halloween snacks! 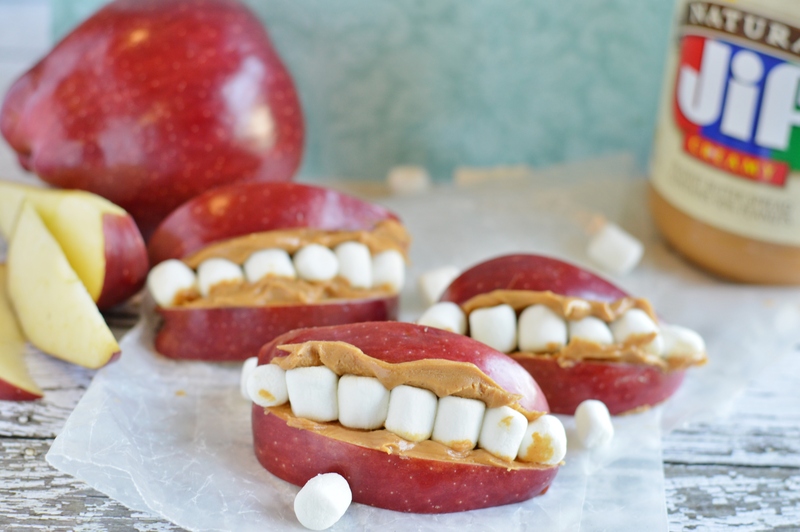 Looking for some ghoulishly good snacks to complete your home theater makeover? Cover your swivel trays with a spread of yummy Halloween snacks that will haunt the food enthusiasts in your life. After all, Halloween is a time to eat and be scary. This recipe puts a Halloween twist on a classic snack! Start by filling a pot with water and putting it to boil. Then fill your heatproof bowl with white chocolate and place it over the pot. Make sure the bowl doesn’t touch the boiling water! Once the chocolate is melted, dip each strawberry in it and place them on a tray with parchment paper. 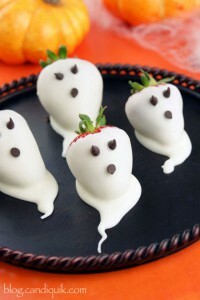 Let the excess chocolate drip down the parchment paper to create a ghostly effect! 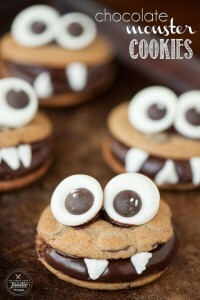 Finally, place two mini chocolate chips as eyes and one as a mouth. 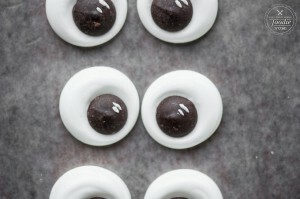 These googly eyes will make a great addition to all your Halloween snacks. Take the bowl of your mixer and combine the egg white and sugar. Beat the combined ingredients using your whisk attachment on medium speed for 4-5 minutes. The mixture should begin to resemble thick icing. If it seems too runny, add sugar. If it seems too thick, add teaspoons of water until it reaches a good consistency. Then fill a piping bag with the icing mixture and make small circular mounds in the size of whatever eyes you are looking to use. The icing will dry quickly so place the chocolate chips as you go. Let the tray sit at room temperature for 24 hours. Now your eyes are ready to roll! First begin by either taking two store-bought chocolate chip cookies or making your own! Next place about one to two tablespoons of nutella on one side of the cookie. Sandwich the other cookie on top and add to small dots of nutella on top of that cookie. This will serve as an adhesive for your googly eyes! Then take a marshmallow and cut out two small triangles. These triangles will be the fang-tastic last step to your monster cookies! Place the two little teeth along the nutella interior or your sandwich below the googly eyes. It’s as easy as that! First, cut your red apples up into slices. Then take two slices and cover one side of each slice with peanut butter. Place a line of mini marshmallows along one slice so that they are sticking to the peanut butter. 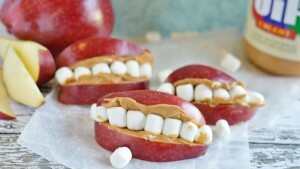 Take the remaining slice and place the peanut butter side down on the line of marshmallows so that the red side of each apple slice is facing outwards. Once you’re done, repeat with other slices! You can even add googly eyes to your creations if you’re feeling silly! This entry was posted in Blog on October 9, 2017 by seatcraft.